Summertime comes, and this is the season of sun and fun. Well, the sunny summer season is also known as the mosquito season. Yep, the annoying tiny insects are out now after hiding for months, terrorizing every one with their irritating buzzing and bites. But that’s not the only problem with mosquitoes, they can also bring us fatal diseases like malaria, dengue fever, and chikungunya. In fact, this animal is the deadliest animal on earth, killing about 725,000 people annually. That and those, we don’t need more reason to avoid this animal and stay away from it. In this modern age, indeed there are so many ways to help us get rid of mosquitoes. Insecticide is the most common method used. However, those insecticide products are chemicals that might harm our environment. It can also bring harms to human, poisoning us, when accidentally ingested or inhaled. Even scientist have discovered that bug zappers and audio devices that mimic the sound of some insects are not effective enough, they can only get rid of about 1% of the mosquitoes. So, is there any way we can get rid of mosquitoes effectively without using chemicals? There are plenty. Here we give you some of those. Mosquitoes have incredible smelling, and it becomes both their biggest power and weakness. You might have noticed that some insecticides promote themselves using ‘natural’ ingredients from plants, and they smell just like ones too, in their commercials. 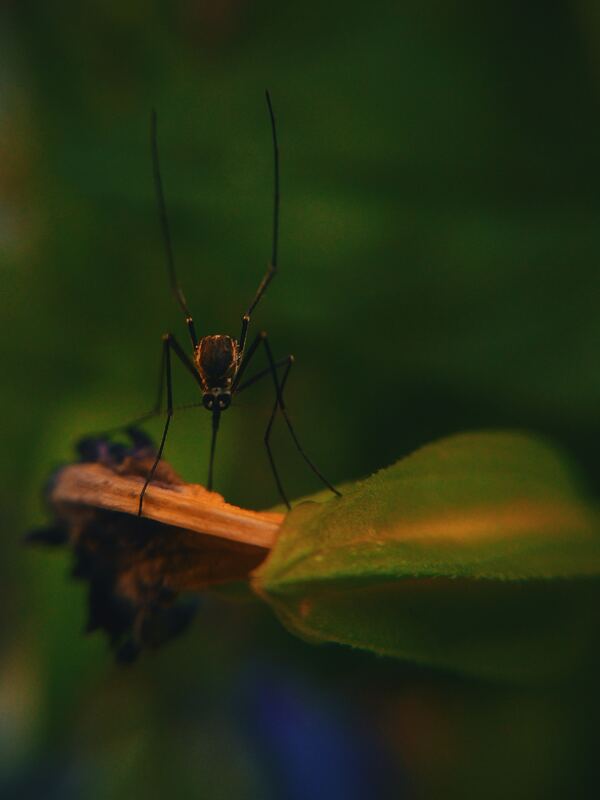 So, you should have realized that you might be able to get rid of mosquitoes in your house without spraying dangerous chemicals all over, by using those plants instead. Yes, some plants are natural mosquito repellent. Plants like geranium, eucalyptus, mint, catnip, cedar, basil, and rosemary are generally disliked by mosquitoes because of their smell. It opens up to many possible uses, we can just plant those plants in areas where mosquitoes usually come in to our house from. We can also get the essential oils of those plants and mix it with our body lotion to avoid getting bitten. 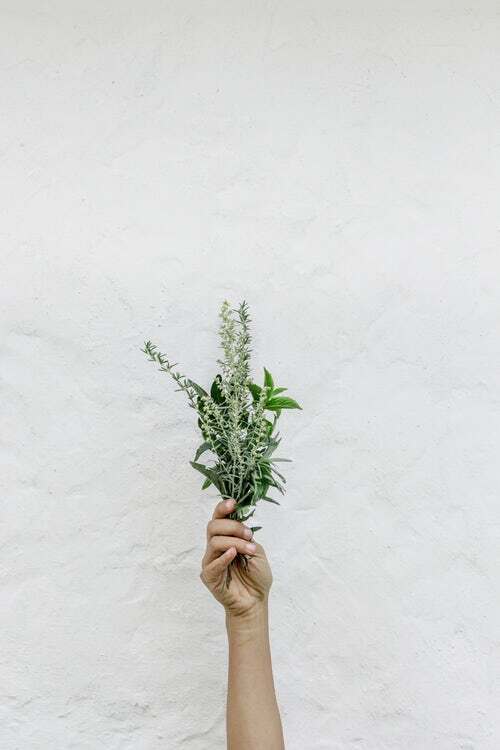 Another way to use plants to get rid of annoying mosquitoes is by putting drops of essential oils on an old cotton cloth and throw it in the drier with your clothes. It will give your cloth fragrant aroma that also works as mosquito repellent. You can also make your own mosquito spray by mixing any essential oils of plants mentioned above, put it in a spray bottle, then dilute it with distilled water. Using those plants will give you the same result as using the chemicals without poisoning the environment. You can bring this spray everywhere you go. Don’t you know that most mosquitoes invading your house come from nearby? The ones biting you might come from the pond next door. It is simple, why bother wandering off if they can just fly into the nearest house and get the blood they want? Mosquitoes need water to breed, and they can breed in even the smallest ponds near your house. Thus, when your house is full of mosquitoes, you might want to look for their breeding ponds. It can come in many shapes and sizes, from a small puddle in your garden to your swimming pool. 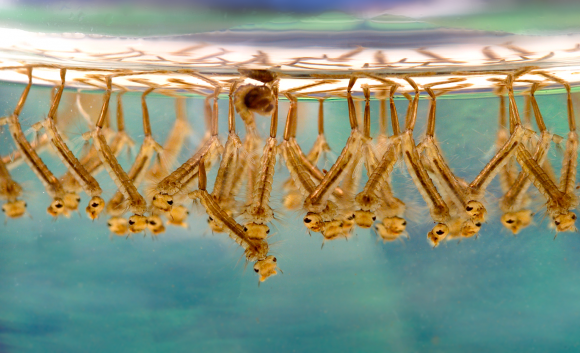 Cleaning those ponds from mosquito larvae will likely help you get rid of the mosquitoes later. Regularly clean your swimming pool, ponds, and fountain if you have one at least once in two weeks to prevent mosquito larvae grow into adult mosquitoes near your house. You might also want to prevent the creation of mosquitoes’ breeding place by keeping your gutters unclogged and clean. After the rain, make sure to look for water puddles around your house and regrade it as soon as possible. You should clean your property from items that can hold water, like old tires in your backyard or discarded aluminum cans. You might also want to modify your garbage containers. Make some holes in the bottom of those items so water can flow out of it. Preventing the mosquitoes to breed near your place is the safest and most effective way to get rid of them. You might have planted geraniums and rosemary in your garden. You might also have cleaned your house from their breeding places. But when your neighborhood nurture them, it might be too hard for you to depend only on those methods. This is when you require the next step: hide from them and distract them from your presence. Mosquitoes are indeed small, but they have physical body. It means they need some space to get into your house. Close your window and make sure it can be closed tightly. You should also check for gaps between spaces that you think can be penetrated by mosquitoes. Fix those gaps as soon as possible so mosquitoes cannot enter your house. 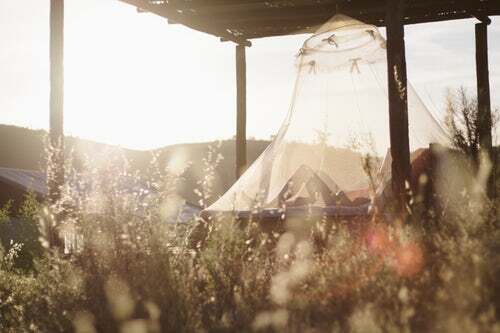 If you still want to enjoy the summer night breeze without getting bitten by mosquitoes, installing mosquito nets at your window will allow you to open it up. 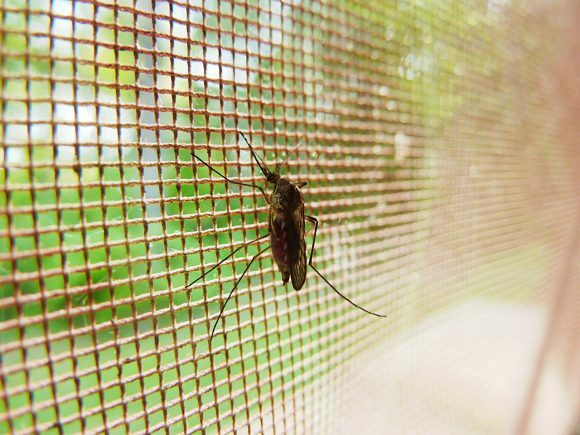 Mosquito nets will let the cool breeze comes into your house without letting the bugs follow. Another method is by distracting the mosquitoes before entering your house. Replace your outdoor lights with yellow ‘bug’ lights. The lights will attract bugs coming nearby and distract them from their main mission because they find it attractive, maybe more attractive than your blood. Some mosquitoes are hungrier and more persistent than others. You might still find some individuals get through all those tests even if you have applied every single of those repellents. And this is the time for you to do some psychological repellent. We have written an article about how mosquitoes can recognize and distinguish the unique smell of individual human. Not only that, they can also associate those smell with how big of a threat the human is. Thus, the next method to get rid of mosquitoes is by threatening them, patting those annoying bugs every time you sense their presence. This way, even if you cannot hit any single mosquito, they will see you dangerous and life-threatening. Mosquitoes will less likely approach you this way, since they can remember your smell and associate it as a threat.